Our personal tax practice is built upon strong relationships. 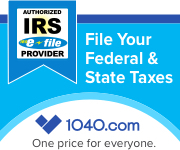 We offer tax preparation by the most highly-trained tax professionals enrolled to practice before the IRS (Enrolled Agents.) You will have access to strategy and planning for individuals and families like yours which includes sole proprietorships and small businesses, multi-state tax situations, high-net-worth individuals, complex investments and rental properties.